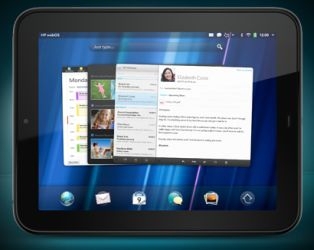 "The company said it ”will discontinue operations for webOS devices”, specifically the TouchPad and WebOS phones. In April 2010, HP talked about doubling down on Palm and the WebOS. And that WebOS unit will cost HP some dough to discontinue. HP will also spin off its PC unit—almost 10 years after the company bought Compaq." For those of you that have been asleep for the past few days, HP has made itself the center of the technology news. A lot of changes are coming! WebOS? Gone! The Touchpad? So long! Personal computers? Sell! Sell! Sell! If there is anything I have learned in life, is that when you are topping PC hardware sales, it is time to quit and completely change tracks. In some ways, the change makes sense. Consumer PC sales is a tough business. With slim margins, it is difficult to stay on top of trends and make sure that there is a profit at the end of the rainbow. Switching to more enterprise and business oriented tasks allows for higher profits and tighter focus. Will they succeed? It is hard to say. IBM took a similar route years ago, when its hardware went overseas to Lenovo, and the company seems to be doing okay. Still, it is a radical change for HP and they may not have pockets deep enough to survive what it will cost to remake the company. The only sure thing is that its firesales have definitely ignited the tablet and possible the smartphone industry. With a sudden influx of cheap tablets, at least for the near-term, it should cause a few ripples for other tablet makers.